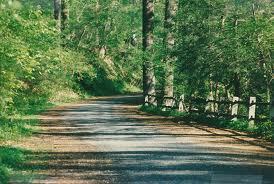 Wissahickon Park Research Papers look at this Park as a refuge for wildlife and as a National Park. Research papers on National Parks or on the National Wildlife Refuge System can focus on any specific park or refuge that you need explored. Wissahickon Park in Pennsylvania is one example of a park our writers have written on for an environmental report. 540 refuge areas found in all fifty states and 12 U.S. territories. These wildlife refuges total approximately 95 million acres, which equates to the size of Montana. The National Parks in the United States encompass 13 percent less acreage than the Wildlife refuges. Wissahickon Park is both a National Park and a refuge for wildlife. The park is located in the northwest section of Philadelphia. The actual park consists of a seven-mile section located in the Wissahickon Valley and is part of Philadelphia’s Fairmount Park system (FPC). The Park is named in honor of the Wissahickon Creek using the Indian term “wismeckham” meaning “catfish stream”. The FPC is responsible for ensuring that the wildlife within Wissahickon Park has suitable habitats in terms of size and food needed as well as maintenance for the park. Wissahickon Park is advertised as the “jewel in the crown” of the Fairmount Park System and is one of 64 regional parks managed by the FPC. The Park has a long and varied history. The first botanical garden in America was created along the banks of the Wissahickon Creek in 1694, long before the Park was created. The garden was created by the brotherhood of German mystics. The group studied mathematics, astronomy, alchemy, and used the herbs grown for medicinal purposes. During the eighteenth and nineteenth century, the area was home to a variety of paper, saw and gristmills . Early settlers favored the area because it had plenty of water to power the mills. The activities of these settlers resulted in massive deforestation and pollution to Wissahickon Creek and its tributaries. Unrestricted hunting led to the extinction of some animal species in the area, and building contributed to land erosion. During this time, many species of non-native plants were introduced into the area, some of which continue to cause problems today. A great deal of the hemlock forest area along the Wissahickon Creek was once used as farmland. By the mid-1800s, the area was an industrialized valley. Wissahickon Park is now famous for being one of the few major wildness areas located in a major city in the United States. In 1868, the area officially became a park when it was acquired by the Fairmount Park Commission with the primary objective of preserving the wilderness area. Conservation efforts included closing down exiting taverns and closing mills responsible for polluting the area. In 1924, a group called the Friends of the Wissahickon (FOW) was organized to head up reforestation efforts after a major winter storm destroyed 200 trees. The Park was designated a National Natural Landmark in 1964. Impact of Deforestation on Freshwater Habitat - Impact Deforestation has on Freshwater Habitat research papers examine research that has been done. Global Impact of Deforestation - Global Impact of Deforestation research papers examine the hotspots on the globe for deforestation problems. Mammoth Cave National Park Research Papers delve into the landscape, and the geological formations around it. Yellowstone Bison Controversy - Yellowstone Bison Controversy Research Papers look at a sample of an order placed on an argumentative paper that is arguing in favor of not slaughtering the bison in Yellowstone. Overfished - Overfished Research Papers explore the marine biologists warnings about the fish stock depleting, and the types of fish that are threatened with extinction. Privatization of Public Lands - The question of the privatization of public lands is, at its heart, a big government/small government question. The Everglades - The Everglades Research Papers discuss the different changes in weather in the Everglades. Ecology - Ecology research papers discuss the science between the relationship of organisms and the environment. Microbiology - Microbiology is the study of microscopic organisms, including single-cell, viruses, and bacteria. Ecology and Environment - In ecological terms, the environment is both one's physical habitat and the various other organisms that also shared the same geographic space. Ecosystem - Ecosystem research papers look into what defines the community of living organisms that interacts as a system with the nonliving aspects of the environment. Water Pollution - Water Pollution Research Papers look at the environmental factors that influence this pollution. Human Ecology - Human Ecology research papers discuss the study of humans and their environments. Environmental Ethics - Environmental Ethics Research Papers delve into an order placed on an essay with specific source requirements. Arctic National Wildlife Refuge research papers overview the oil drilling research in Alaska. Paper Masters writes custom research papers on Wissahickon Park and look at this Park as a refuge for wildlife and as a National Park.